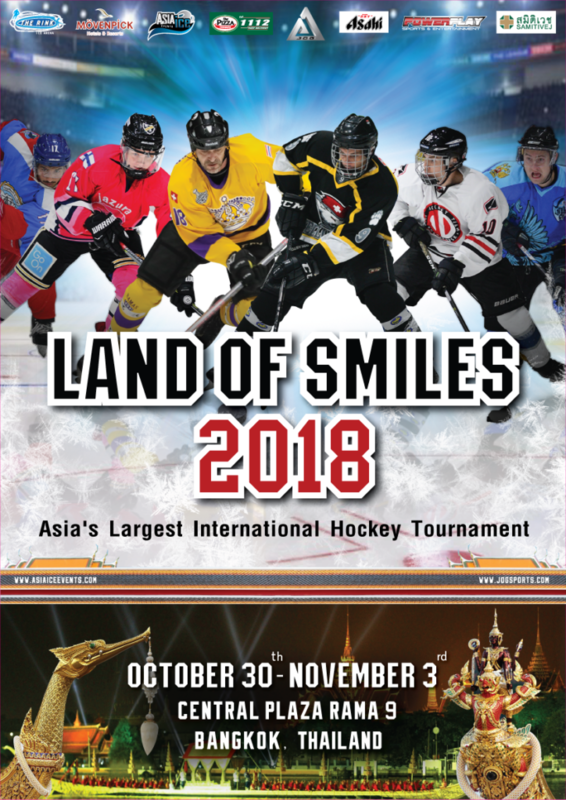 The annual Land of Smiles tournament will once again take place in Bangkok, Thailand. This is the largest international event in Asia with teams coming from around the world. There are teams from Canada, Russia, Finland, China, Kuwait, Abu Dhabi, Dubai, Oman, Qatar, Slovakia, Japan, Hong Kong, Macau, Singapore, Indonesia, Malaysia and Thailand. A total of 41 teams and 95 games to be played from October 30 to November 3. The majority of the games and the finals will be played at The Rink in Central Plaza mall. There are a few games that will be played at the old rink in Samrong. Powerplay Sports & Entertainment is proud to support and be associated with this event. The tournament has over 20 years of history. More info can be found at www.asiaiceevents.com and www.jogsports.com . This entry was posted in Leagues / Tournaments. Bookmark the permalink. Wishing everyone a Merry Christmas and all the best in 2019!